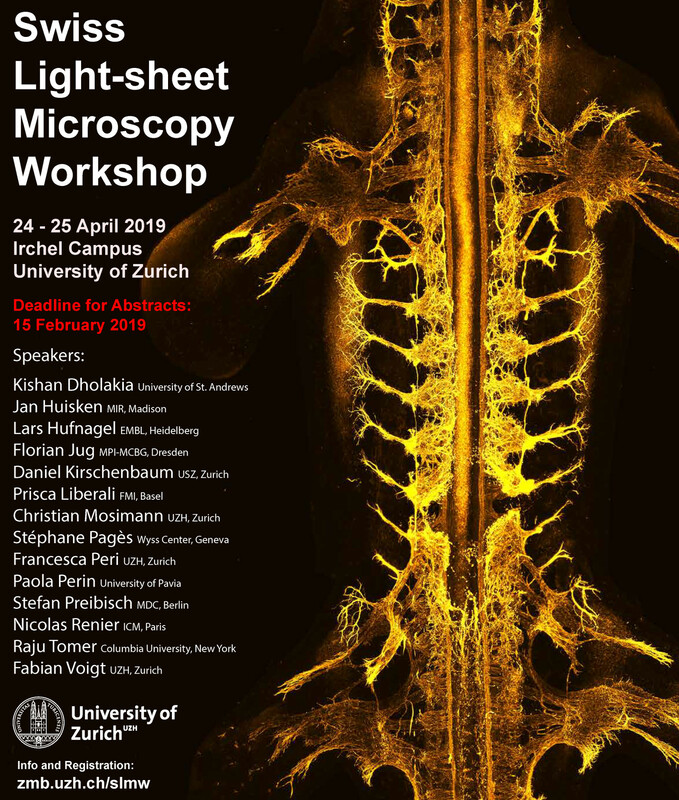 The Swiss Light-sheet Microscopy Workshop will take place on April 24th & 25th, 2019. The venue is the the Irchel Campus of the University of Zurich. Registration deadline is Friday, March 29th, 2019.